This is NaNo. This is my nightmare. The last time I participated in NaNoWriMo was, evidently, 2006. I think I participated for like, a day and a half, because Lord knows I can’t even find a draft of anything written in that time frame. In fact, when I miraculously remembered my NaNo username and password, I was deeply, deeply saddened to see they had my age listed as 26. Oh, to be 26 again. I almost won NaNo in 2004. I’ll spare the gory details, but basically, during the last few days of the month and against my better judgment, I went to somebody’s house. And while at that somebody’s house, two different people talked to to me NONSTOP for two days. I didn’t get to write and, in turn, I didn’t get to finish the last 3,000 or so words. Whatever. Life went on. No limbs had to be amputated. I survived. Let’s talk about who I was in 2004. I’d been married about a year. I was fresh out of college. I had a degree that surely I was going to use. I was a volunteer at Harpers Ferry National Historical Park. And I had time. Obscene and ridiculous amounts of time. Let’s talk about who I am in 2012. I’m still awesome, obviously. I’ve been married almost ten years. I don’t use my degree. I have a 40 hour a week job that I work hard at, but don’t specifically use what I learned in college. I’ve got two kids. And I have no time. 1. The Toddler dumped his plate of chocolate chip muffin pancakes on the floor. 2. As I bent to pick up said pancakes, The Baby pulled up on the small computer stand by the couch. 3. The Baby pulled said computer stand down on top of him. 4. The broken laptop, half of the keys missing and marginally working with a desktop keyboard plugged into a USB port, went flying through the air, crashing in a heap. 5. The Toddler ripped his clothes off and started running around in just a diaper. 6. I managed to split open my knuckle. The Toddler is now in pants. The Baby is drinking a bottle. And I have a Sponge Bob Square Pants band-aid on my knuckle. This is why NaNo is kind of my nightmare. My own personal hell. My brain so desperately wants to pour out mass quantities of writing, but before that can happen, I have to pry people down off the walls and get them to bed. I am 58% sure I will not be completing the requisite 50,000 words by the end of the month. But you know what, that’s okay. I’m hoping to simply challenge myself to write MORE this month than I did last month. To maybe finish a few chapters. That, in my opinion, will be the victory: not necessarily completion, but progress. And, who’s excited to start off NaNo with a brand, spankin’ new laptop, not even out of the box yet? This gal. Yes, I did the unthinkable and bypassed the pen and paper method, instead buying a reasonably priced, no bells and whistles laptop to be used for my writing only. Only. And can I just say, here’s to you Best Buy. I placed my order Monday night and got my laptop this afternoon. All for free shipping. You can’t beat free and you certainly can’t beat fast. So, writers who are about to write? I salute you. It’s going to be a fast thirty days. But, we’re all in this together. 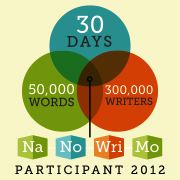 And if I can find a spare $45 laying around, I’m totally buying the gray NaNoWriMo hoodie. Because yes, on top of a laptop, I do need it. I’m cold and typing under a blanket is hard. YES! You rock it out Heather. I think it’s great your taking a crack at it again this year. I’ve only won NaNo once, in 2008, and haven’t been able to crack 10,000 words since then. I can’t even imagine doing it with kids, but I think it’s awesome that you’re running with it come hell or high water. Here’s to more writing this month no matter how much it is! 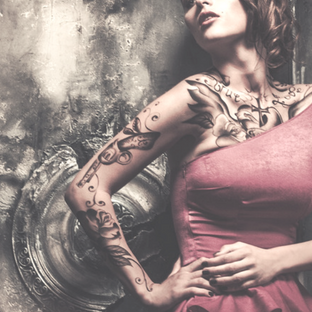 I’m doing NaNo too, with no hope of reaching 50K. However, like you, I feel like I’ll have more progress this month than last, so that can’t be bad. Right? Good luck – and congrats on the new laptop! Thanks!! I agree, I think any amount of progress is what is most important. Any amount of words written is more than you had before. I’m not competitive, so going up against my friends doesn’t do it for me. Trying to hit 50k doesn’t do it for me. My challenge is to myself, just to try and write extra this month. Love your post, Heather! I understand about the little people. I have slightly bigger little people. You’re truly awesome — you are actually attempting to do this when they’re young. I waited until my children were much older so I could have a few brain cells left! I know you’ll do WAY more than you think you’ll do why? Because you really really want it. Like Beth said, Rock out in 2012! Thank you so much!! I’m excited for this years NaNo, because I feel like this is the first year I’m taking it *that* seriously. But not so serious that I can’t have fun. I’m a momma to toddlers–every now and then you have to get up and dance!! Best wishes with your writing! See you on the NaNo site!! Great post. And your chaos made me laugh, then I stopped because I have big people around me who are just as chaotic as your kids. Thanks! I think if my life weren’t so chaotic, I’d be bored. And have less insanity to write about! Absolutely True! Progress…I know it doesn’t seem like it now, but as the boys become teens, you will have more time. So, just another ten years. Blow that air you just sucked at the thought of 10 years older right back out…this too shall pass. I’m 50 next year. Now that you have a 50 year old wrinkled smokers face in your imagination, get it out, cause that’s my current picture on my website, and NO, I don’t dye my hair! I don’t have time. Good Luck fellow NaNoWriMo progressive! I’ll meet you on 11/30. I definitely need to start moisturizing! Kids definitely do grow up fast; those days of having free time again will be here before I know it! I still can’t believe my baby will be a year old later this month. I just get up early/stay up late. Sleep? Who needs sleep! Thanks! It’s hard to find that balance with writing/ being mom. I’m still trying to work it out! LOL.. that’s hilarious! I understand how hard it is to Nano with kids. I have 3 (this year they are 7,5, and 2…) I ‘won’ last year with them, but it wasn’t the easiest thing ever… (my house… oh my house… my husband was very happy when that month was over.) BUT 1 yr later, I’m a glutton for punishment again. My last year nano was published in October (ahhhh!!!! It ‘can’ happen!!) and my Camp Nano from this June will be published in late winter. So.. I have high hopes for this Nano…. which made lead me down a bad road lol. Thanks so much!! I love your idea of breaking down the word count into smaller increments. Even before NaNo, I was toying with the idea of getting up a hair earlier to write. Now that the baby is sleeping through the night (victory! ), it seems more feasible. I’m slowly training myself to eat cereal with my left hand, so I can jot in my notebook with my right!! I began smiling at the end of October because I knew that November and NaNo were around the corner. I, like you had fully participated since 08′ and was sadded to see that my info had 28 on it. I remember that age; freshly married, home all the time I had time to write. So much, that I completed a novel that year. Now, I don’t have any kids, but I have a full time job, curse Walgreens, and when I do sit down to write, I get distracted by Facebook, laundry, the dog, the cats, you name it. But, Heather this is what I want to say with this rambling response is that writing is in our blood. It’s something that tries to take us away from real life so that we can come back sane. Keep up the writing!